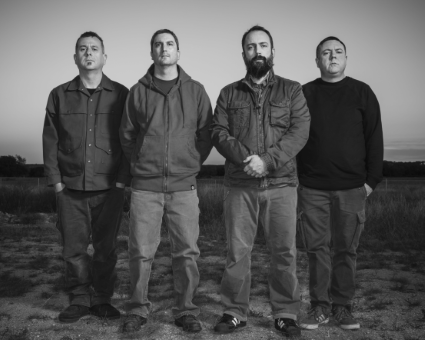 Overdrive recently grabbed some time with CLUTCH sticks-man and human groove metronome, Jean-Paul Gaster, to discuss the bands forthcoming, infectious new album ‘Psychic Warfare’ and the process of recording, following the bands previous knock-out release ‘Earth Rocker’. Get all the details on his most memorable show from the bands last world tour and loads more! 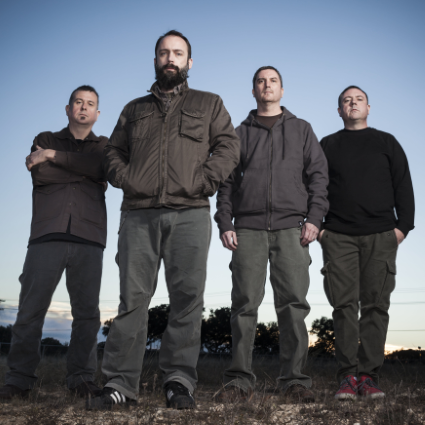 When you think of CLUTCH, it’s hard to find a better band that have survived through nearly twenty five years of hard rock ups and downs, with fads coming and going. The truth of the matter is, that CLUTCH, don’t do bad albums and if you have ever had the pleasure of witnessing them live, you will know what it’s like to have your face melted off. Get the full low-down on the new album and the bands plans for the rest of 2015. OD – The new album Psychic Warfare is due out on October, can you explain the meaning behind the album title and cover artwork? JEAN-PAUL – Well, thankfully Neill writes all the lyrics to the songs and Psychic Warfare was one of the lines, in one of the songs on the album (X-Ray Visions). Naming a record is always one of the most difficult things to do. We spend longer on that process, than picking out what songs will be on the album. It’s just got so much to do with how people will perceive the record and is vitally important. Check out the footage below of the band in the studio recording Psychic Warfare. OD – From the opening of The Affidavit, to the closing of Son of Virginia, it would be assumed that this is somewhat of a concept album, would this assessment be correct and if so, can you shed a little light on it? JEAN – PAUL – Yeah, I think there is some elements of that to it. When we put those sort of bookends on the record, it really tied it together and made it complete. The story line, or the concept is there, I’m not sure that it was something that was consciously put together. Often when Neill writes lyrics, he leaves enough room for interpretation, that the listener can kind of draw his/her own lines between the dots, putting the intro and outro on there, kind of makes it more compact in that way. OD – How soon did you start writing for this album? Was it during the Earth Rocker tour or after? JEAN-PAUL – We started pretty much right away. As soon as Earth Rocker was in the can, we got together and just started making riffs and jamming. We usually do that, we try to keep the creative juices flowing at all times. In fact, quite often those first things that we come up with, end up not being on the record, but it’s like an exercise trying to get new things going and some new energy; And quite often, those new concepts, lead to other new concepts and those are actually what end up being on the record. It’s a process that just works for us as a band. OD – I always find that one of the highlights of any Clutch album, is the dynamic of your drumming, integrated with the flow of Neil’s vocals, Dan’s bass and Tim’s guitar. There seems to be a real centerpiece for the drumming, which I find doesn’t really exist with many other bands, is this something that you all consider, when putting the music together? 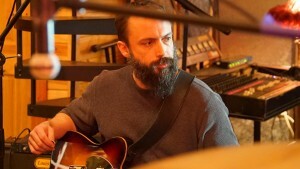 JEAN-PAUL – I always look to Neill’s vocal for rhythmic inspiration. There were times on this record, where we’d be playing a particular passage and I’m not one to sit there and play time, I like to have the drums support whatever the lead line might be and in this case, it was usually vocals. Often at times, I would be stuck like “how do I approach this particular part?”. By looking at Neil’s rhythmic delivery, I was able to pull rhythmic patterns out of these things and in turn, out of that, I could either complement or trash what he was doing. I’ve done this before, but this time I really took it to another level that I hadn’t done before. I even went so far as to notate the rhythms, they are very syncopated and look like exercises out of my favourite drum book called Syncopation, theses are 3 or 5 beat phrases, that usually do not land on the down beat. It was interesting to look at Neil’s phrases and see how similar these were to some of these syncopated figures, it was a good time and provided great inspiration. OD – X-Ray Visions is the first video to be taken from the album, can you disclose the follow up track / video? JEAN-PAUL – Its a little too soon to say, we are considering doing another video at this point. The thing with videos is there are only so many outlets to use videos these days and it kind of becomes an advertisement for the record more than anything else. OD – I have heard the album many times now and would comment that it just flows almost seamlessly from where Earth Rocker finished, was this transition from then to Psychic Warfare, a conscious decision or did it just come naturally? JEAN-PAUL – I would agree to some extent, I think there was a lot of things that we learned both on writing and touring Earth Rocker. Earth Rocker had a lot of upbeat songs on it and although we played up-tempo songs in the past, Earth Rocker was pretty consistently up-tempo and we played those songs every night. So for us to play several up-tempo songs in a row like that, it was definitely was new experience. We’ve been in this band for 25 years now and anytime you can sort of challenge yourself and the band, I think good stuff is gonna come from that. We became better players on that tour and because of that, I think the up-tempo songs that are on Psychic Warfare, are even better than Earth Rocker, because we play that style better. So yes, there are some similarities with the two albums to some extent. The other half of the songs on the new album are some new things that we wanted to try, which are very different to the Earth Rocker stuff, as well as our previous albums. It was not like we had a meeting and agreed that we had to come up with something different than Earth Rocker, it sort of happened subconsciously and very organically. We tend to do that anyway when approaching writing and creating, we react to whatever we had done from before in the past and build on that work and I think that makes for a very different sounding albums from album to album. OD – You have some amazing U.S shows coming up starting in October with Corrosion of Conformity, Primus and Mastodon (see here for dates). 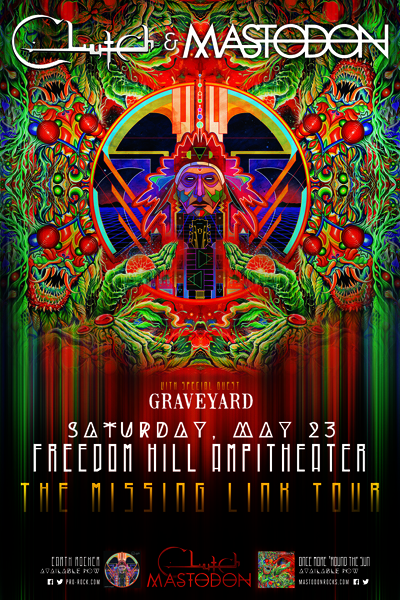 I know you have toured with Mastodon before, but do you have any tour history with C.O.C or Primus? 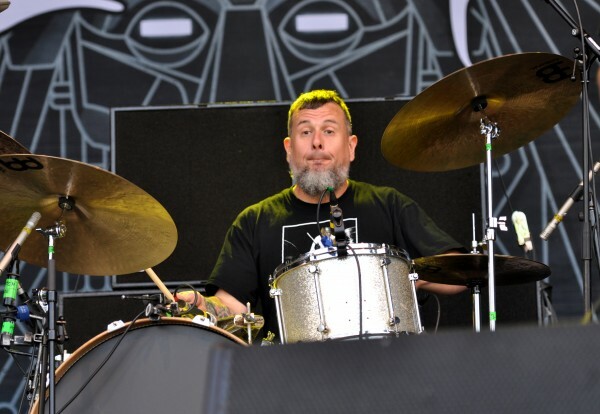 JEAN-PAUL – First time for Primus, Corrosion and Conformity we played with quite a bit. I remember when we were a very young band, I remember opening up for them at a place called The Rage in Baltimore, at the point we had been a band maybe a year, this was in 1992 I think. Corrosion and Conformity have always been one of my favorite bands. I like all the eras of the band, the one with Pepper (Keenan), is going to be with us on the next tour and I’m very excited about that, Deliverance and Wiseblood are amazing records, with amazing songs and I’m very much looking forward to that, it’s gonna be great! OD – Clutch will be playing in Ireland this coming November, do you know who will be joining you as support for that tour yet? JEAN-PAUL – You know, I’m not sure what we’re gonna do for support just yet, but I know that when it comes to putting that together, the punters will not be disappointed. OD – When you look back on the success of Earth Rocker just a few years ago, did that take you by surprise at all, in light of the way the current music scene, with the kids liking all the screaming / symphonic / aggressive stuff? JEAN-PAUL – Absolutely! Earth Rocker was great for us in a lot of ways. We got to play in a lot of places that we hadn’t been to before. The size of the crowds are growing more than ever and to see any kind of growth in this environment, I think is something to be excited about. The reception on that tour, really blew us away and it was far and above any kind of reception that we would have expected. OD – What was one of the highlights from the Earth Rocker tour that stuck with you as a reminder as to why you do this for a living? JEAN-PAUL – Yea, when we finished up touring with Mastodon in the spring, we had just completed a pretty lengthy cross country tour with those guys and the last few dates were just amazing. We we have a great history with Mastodon and have done many tours with them over the years. So, this last tour we did with them was a co-headline run and I was really blown away, not only by the size of the crowds, but the intensity of the shows. It was really amazing to be able to get as many folks as we did, into some of the venues for those shows. Looking back in hindsight, to see two bands like Mastodon and Clutch, although we sound very different, we actually share a lot of the same influences and the same feeling for music you know, but to see both bands; it was very special for not only for the fans, but for all of us as well. It was amazing to get the two bands together on tour and play for as many people we did. We got to play Red Rocks, Colorado and Central Park, New York. It was a really amazing tour and an especially excellent way to wrap up the Earth Rocker campaign. Red Rocks was probably my favourite gig that I played on that tour and maybe in my life. If was absolutely incredible and one of the most effortless shows, that has stuck with me as just being almost magical in a way. It’s as if I just sat at the drums and the music played itself. What an incredible evening and one that will stick with me forever. OD – How do you guys feel about the touring side of things at this point in your career, does it become harder or easier to handle? JEAN-PAUL – Well there are certain aspects of touring that are quite tedious and exhausting at times. Actually, the truth is, I have a better time now on tour, than I did 20 years ago! I think I appreciate stuff more now and I also think the band plays better now, than we did 20 years ago. It’s tough to be away from our families and friends, but you know, at the end of the day, this is still the best job in the world I wouldn’t trade it for anything. 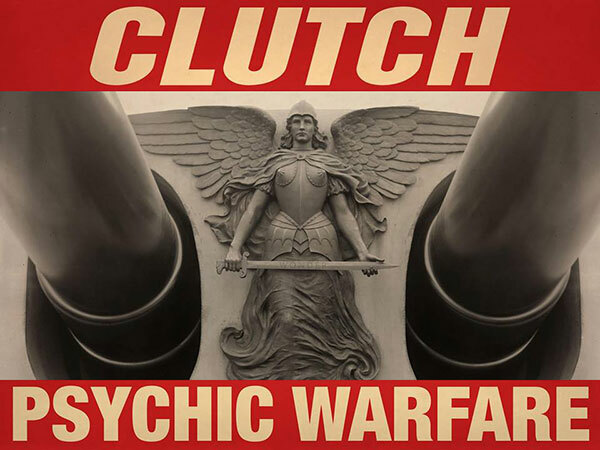 Check out the OVERDRIVE review of ‘Psychic Warfare‘ here! CLICK ON THE GRAPHIC BELOW FOR YOUR PRE-ORDER. Psychic Warfare is out via Weathermaker Music on October 2nd. Pre-orders and limited signed copies available here. Exclusive pre-orders available from Sound Cellar in Dublin’s Nassau Street. Please call 01-6771940 for more information. 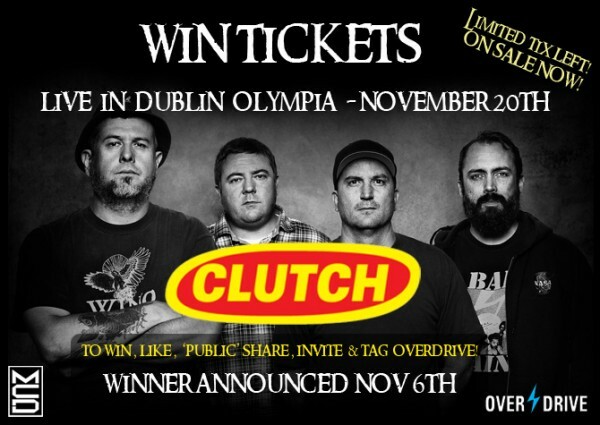 For your chance to win a pair of tickets to see Clutch in Dublin’s iconic Olympia Theater on November 20th, simply follow the rules below and good luck! Limited tickets left via Sound Cellar and Ticketmaster. Please check MCD for more information.